Please post ideas for new threads, tips on relevant and interesting threads elsewhere, and notes about pretty much anything you like here. A new study describes the first observations of the process of electron heating in Earth’s bow shock. The researchers found that when the electrons in the solar wind encounter the bow shock, they momentarily accelerate to such a high speed that the electron stream becomes unstable and breaks down. This breakdown process robs the electrons of their high speed and converts the energy to heat. Using newly-discovered archival measurements to construct an instrumental record of water levels and storm tides in Boston since 1825, researchers report that local averaged relative sea level rose by nearly a foot (0.28 meters) over the past 200 years, with the greatest increase occurring since 1920. The work also highlights tides and their significant effect on flooding in the city. This means extreme high tides may be as much as four inches greater at the high point in this cycle compared to its low point, he adds. A known decadal-scale variation is the 18.6-year nodal cycle. Here, we show how failing to account for the nodal cycle resulted in an overestimation of Dutch sea-level rise. The nodal cycle is present across the globe with a varying phase and a median amplitude of 2.2 cm. 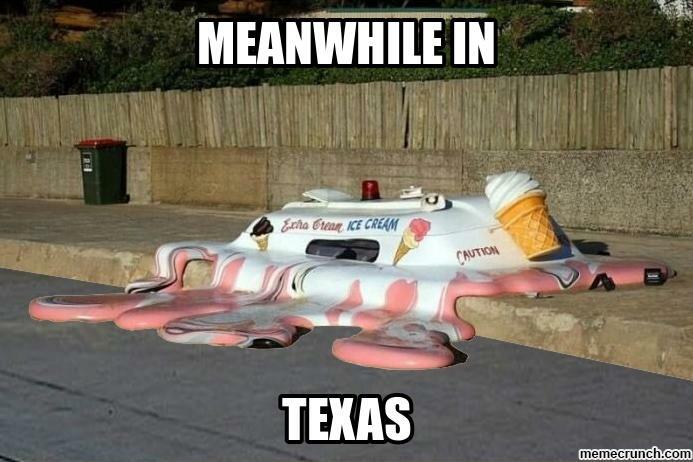 The usual hand-wringing about the climate here, but ignoring the waffle we find…. 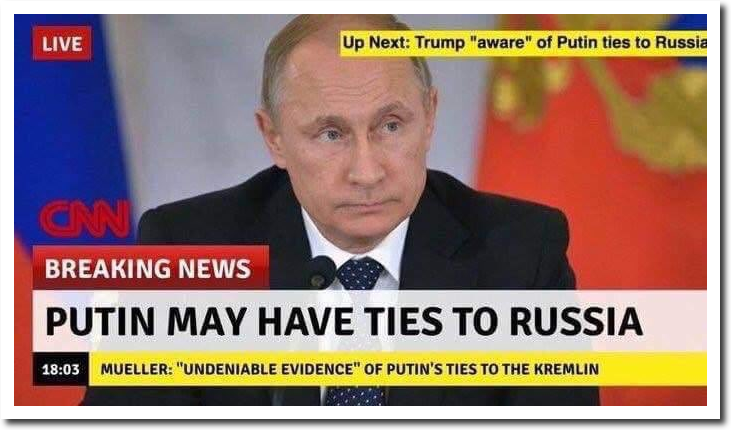 Japan,US,Russia,Canada and others are interested. If costs can match (e.g.) sea drilling it could be viable. Never mind revolution where revelation will suffice. Nearly every face booked itself for cold multivariate methods tapping the shallow Western OCEAN surf face, rooting out the climatically revolting swamp thing. Lukewarm isn’t cold enough to balance heated threats to stability. Deeply faulted seizure of western states by a climatically heated revolutionary faith naturally met counterbalancing stabilization by just ice. Whether superficially lukewarm and stagnant or boiling transparently at devilish depth, revolutionary swamp water that couldn’t be drained from faulted stately assumptions was frozen solid by the stablest polar eyes to ensure peace, piece by Pareto Principled piece. Has the love of “elegant” equations overtaken the desire to describe the real world? In a new book entitled “Lost in Math: How Beauty Leads Physics Astray,” [physicist Sabine] Hossenfelder argues that many physicists working today have been led astray by mathematics — seduced by equations that might be “beautiful” or “elegant” but which lack obvious connection to the real world. More of the same in the report. Were they waiting for Hawking to leave the stage? GOD is not a Mathematician, GOD works in applied science, An Engineer. The universe works because it has to. There is no alternative. It is all in the music of the spheres. Atoms sing their song, if you listen. GOD’s symphony of creation…pg. 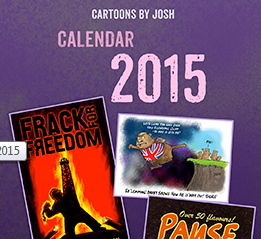 The GWPF has a 2 articles on the new Welsh Nuclear Plant Deal. it appears that the Taxpayers will contribute £9Bn towards the cost, but our brilliant government have negotiated a strke price of “only” £77.50 per megawatt hour. Another fantastic deal brokered by a very desperate goverment. There are no clear boundaries between the scattered and detached regions. Interesting, but the climate change bit looks a trifle optimistic. It seems solar-induced fluorescence (the “glow”) is standard everywhere. It doesn’t matter if it’s a forest, a soybean field, or a prairie, all plants take up carbon dioxide during photosynthesis – the process where they use sunlight to convert water and carbon dioxide into food. During this changeover, the plants emit an energy “glow” that is not visible to the human eye, but can be detected by satellites in space. Now, researchers at the University of New Hampshire have taken that one step further. By using satellite data from different major land-based ecosystems around the globe, they have found that the photosynthesis glow is the same across all vegetation, no matter the location. This first-of-its-kind global analysis could have significance in providing more accurate data for scientists working to model carbon cycle and eventually help better project climate change. I was shocked by this Tweet by Ned. How can Water (in the Oceans), which stores so much energy from the Sun, have No effect on the global temperature? It is obvious from comparing the Tropics to High Dry Deserts that water has a major affect on how much the Temperature fluctuates on a day night basis. So if you have a waterless world that has a different atmosphere to ours will it have the same swings as ours? Note I am not talking long term “average” here. Understatement: Ned gets misunderstood, misinterpreted, and misrepresented. “Compared to standard reconnection that occurs over tens of thousands of miles, this new magnetic reconnection spans only a couple of miles within turbulent plasma,” NASA officials said in the video. Thus, these smaller reactions accelerate particles 40 times faster than standard reconnection observed in the magnetosphere. “The more we understand how those particles are accelerated, the better we can protect our spacecraft and astronauts as we explore deeper into the solar system,” NASA officials added. They keep saying magnetic field lines do this or that, and we keep commenting that magnetic field lines don’t physically exist. They are a concept only, and this is well known. The first exoplanetary system is located in the star K2-239, characterised as a red dwarf type M3V from observations made with the Gran Telescopio Canarias (GTC), at the Roque de los Muchachos Observatory (Garafia, La Palma). “Up to now it was assumed that the kinetic energy of the fast particles is primarily responsible for atomization of the rock surface,” says Paul Szabo, a Ph.D. student in Friedrich Aumayr’s team and first author of the current publication. The weather warning is in place from 3am on Thursday morning until 3pm the same day, which could cause disruption to morning rush hour and the school run. Forecaster say those planning to travel tomorrow morning should be aware there could be disruption to road, rail and air transport. The Mayor of London has confirmed London’s Ultra-Low Emission Zone (ULEZ) will expand to cover the area within the North and South Circular roads from 2021. This will see strict emissions limits impact drivers of cars, vans, buses, coaches, and lorries, in an area that is 18 times larger than the current ULEZ. It is estimated that 100,000 cars, 35,000 vans, and 3,000 lorries might be affected by the expanded zone and tougher standards each day. Drivers within the expanded zone using vehicles that don’t meet emissions restrictions will pay a daily charge of £12.50. The researchers report that the simulation did show a wave formed in the cloud tops, similar to that seen on the actual planet. But they also found that the braking effect caused by the atmosphere running into the mountains actually slowed the spin of the planet—the amount depended on the time of day. They found that on average, though, the effect was enough to cause up to two minutes of variation in planet spin speed—not enough to account for the observed seven minutes of variability, but enough to suggest other physical features could be playing a similar role. Feelings were running high at the meeting – which had a turnout described by community council secretary Angus Murray as “the biggest attendance I’ve ever seen at any community council ever”. No legal requirement to keep them properly maintained and safe. Tim Cullen researches a climate mystery from prehistoric times. Talk of a “massive carbon injection into the atmosphere” turns out to be more than a bit problemmatical. Article: Can climate feel the pressure? …paleoclimate models often cannot match proxy estimates of temperature and precipitation unless unrealistic CO2 concentrations are prescribed. Poulsen et al report model results that identify O2 [oxygen] as an important climate driver through its contribution to total atmospheric pressure. During the late Carboniferous and Permian (315 to 255 million years ago), Earth experienced the largest and longest glacial period of the Phanerozoic, coincident with high O2 (as much as 35%) and low CO2 (~350 ppm) (see the figure). On the tweets Roger has asked where he can get Ceres data from. I know this forum does not like WUWT and especially Mr Eschenbach, but he has written a couple of good articles based on the Ceres data, which he sometimes links to. I’ll add a curiosity, it is also a full moon. There is a known temperature linkage in atmospheric data but I’ve yet to find it in surface data. And that clay has been heating up. When much of central London’s Tube network opened in the early 1900s, temperatures in tunnels and at stations were recorded at around 14C. But with nearly 80 per cent of energy dissipated by trains, people and related infrastructure seeping out into London’s clay, it’s been slowly heating up. So much so that the ambient temperature of the clay is now between 20C and 25C. Unlike the Victoria and Jubilee lines, London’s oldest tube lines, and the Central line in particular, suffer from having very few ventilation shafts. And with the Central line cutting a path through some of London’s most densely-populated and expensive post codes, there are few options for introducing shafts now. Global Sea Ice extent 1,000,000 km² higher than last year on this day. On the 26th of June! Where’s that (so-called) global warming? «It started in March-April and continues until this day,» says Gazprom Neft, the operator of the «Prirazlomnaya». The platform is based in the Pechora Sea and is Russia’s only oil-producing installation in Arctic waters. The company, a subsidiary of natural gas company Gazprom, is now hiring a another icebreaker for clearing the waters around the platform. The 120-meter long «Vladivostok» is owned by state sea port company Rosmorport’s, built in 2014 and has a capacity of 17,5 MW. State nuclear icebreaker company Rosatomflot last week informed that independent shipping in the area is «paralysed» and that LNG carriers and tankers are stuck. «We are back to the standards of the 1980s and 1990s,» said company representative Andrey Smirnov. A discovery by scientists at the Department of Energy’s Oak Ridge National Laboratory supports a century-old theory by Albert Einstein that explains how heat moves through everything from travel mugs to engine parts. The Universe is expanding, but different techniques can’t agree on how fast. No matter what, something major has got to give. While it’s incredibly impressive that two completely independent methods yield answers that are close to within less than 10%, the fact that they don’t agree with each other is troubling. If the distance ladder group is in error, and the expansion rate is truly on the low end and near 67 km/s/Mpc, the Universe could fall into line. But if the cosmic microwave background group is mistaken, and the expansion rate is closer to 73 km/s/Mpc, we just may have a crisis in modern cosmology. The Universe cannot have the dark matter density and initial fluctuations that such a value would imply. Until this puzzle is resolved, we must be open to the possibility that a cosmic revolution may be on the horizon. PROVIDENCE, R.I. (AP) — Rhode Island Attorney General Peter Kilmartin filed a lawsuit Monday against 21 fossil fuel companies demanding damages associated with sea level rise and water cycles. In the complaint filed in Providence County Superior Court, Kilmartin said the companies are knowingly contributing to climate change and the “catastrophic consequences” to the state, its residents and the ecosystem. ExxonMobil, BP and Shell are among the defendants. How much does Rhode Island spend on ‘fossil fuels’ per year for its buildings, vehicles, machinery, electricity, heating etc.? What a farce. The Rosetta science team originally reported that the oxygen was most likely from the comet’s main body, or nucleus. This meant it was ‘primordial’ – that it was already present when the comet itself formed at the beginning of the Solar System 4.6 billion years ago. Lead author Mr Kevin Heritier, from the Department of Physics at Imperial, said: “The first detection of molecular oxygen in 67P’s coma was both very surprising and exciting”. The new analysis is consistent with team’s original conclusion, that molecular oxygen is most likely primordial. Other theories have been proposed, and can’t yet be ruled out, but the primordial theory currently fits the data best. “If the proposal is approved, it may be impossible to share a newspaper article on social networks or find it on a search engine,” it said. A man and woman found unconscious in Wiltshire were poisoned with Novichok, the same nerve agent as ex-Russian spy Sergei Skripal, police say. I didn’t believe it the first time around and I don’t believe it now. Weapons Grade Nerve Agents kill in seconds, there is no possibility of survival after hours of exposure. Only 14MW of domestic solar is forecast to be fitted this year, down from a peak of 606MW in 2011, according to Bloomberg New Energy Finance. See: Scotland Sets New Temperature Record–In Middle Of Car Park! Looking at the Twitter responses their is a lot of mention of the new Sovereign party and yet there is absolutely no mention of it anywhere else. It needs publicity and surely this is the right time to do it. 1] generalise to [a + sqrt(b)]/c; for Venus+Luna that is a=9, b=116, c=1. 2] look up continued fraction convergents to sqrt(116) : …,4,9,13,61,74,209,701,910,… that is OEIS A041211; of help: Continued Fraction Calculator (online, Dr. Ron Knott). 3] convergents for the Venus+Luna (a=9, b=116, c=1) case are: …, 79/4, 178/9, 257/13, 1206/61, 1463/74, 4132/209, … ; the denominator is # Venus, the numerator is # Luna. 4] combine convergents to e.g. 152 Venus (Great Venus Transit Cycle) = 3005 lunations; so by empirical evidence this holds good for 243 yrs. You might be interested in this paper about long-term cycles in the South American Monsoon (SAM). The spectral analysis of the δ 18O values of stalagmites ALHO6 and CUR4 (Fig. 2), performed with the REDFIT method, reveals a significant periodicity at 208 years and marginally significant periodicities at 83, 31, 18–16, 11, 9 and 7–3 years (Fig. 2, Supplementary Fig. S7). The periodicities of 208, 83 and 11 years in the spectral analysis are close to the solar cycles of de Vries-Suess28, Gleissberg29, and the Schwabe30 sunspot cycle, respectively. The wavelet analysis of the ALHO6+ CUR4 record (Fig. 2b) indicates that the main 208-year cycle is very robust and persists over the entire 1500 years. This same periodicity (210 years) is also highlighted in an independent spectral analysis performed by using the Lomb periodogram method (Supplementary Fig. S8). The 83-year cycle is stronger between ~750–1000 AD and ~1200–1500 AD, while the 11-year cycle appears more randomly distributed over the record. The periodicities of 31 and 18–16 years do not emerge as significant in the wavelet analysis, but can be related to the influence of the Pacific Decadal Oscillation (PDO) in the region31. The periodicities of 7–3 years are most likely related to ENSO variability31. In addition, the cross-wavelet analysis between ALHO6 and total solar irradiance32 shows a clear correlation at a periodicity of approximately 208 years. The South American Monsoon System (SAMS) is generally considered to be highly sensitive to Northern Hemisphere (NH) temperature variations on multi-centennial timescales. The direct influence of solar forcing on moisture convergence in global monsoon systems on the other hand, while well explored in modeling studies, has hitherto not been documented in proxy data from the SAMS region. Hence little is known about the sensitivity of the SAMS to solar forcing over the past millennium and how it might compete or constructively interfere with NH temperature variations that occurred primarily in response to volcanic forcing. Here we present a new annually-resolved oxygen isotope record from a 1500-year long stalagmite recording past changes in precipitation in the hitherto unsampled core region of the SAMS. This record details how solar variability consistently modulated the strength of the SAMS on centennial time scales during the past 1500 years. Solar forcing, besides the previously recognized influence from NH temperature changes and associated Intertropical Convergence Zone (ITCZ) shifts, appears as a major driver affecting SAMS intensity at centennial time scales. pg, I feared this, and also for the Godwits etc. in their long flight back to Australasia. Normally non-stop, but I guess they survived real Ice Ages…… There shall be grinding of teeth and wailing when few make it. The birds will learn, but the greenies, i dunno? Note to The Guardian: this means something similar happened 40 years ago, well before the invention of media-fuelled global warming paranoia. Finally, on the autumn equinox in 2017, they waited for sunrise at a site called Vaquillas. Cruz performed a small ceremony with coca leaves. As if on cue, the sun rose directly atop the line of the saywas. “It was a very emotional and beautiful moment,” said Sanhueza. Three months later, on the winter solstice, they observed the same phenomenon at a separate site. Tony Abbott recently claimed it was about time Australia pulled out of the Paris Climate Agreement. Support for Mr Abbott’s position is growing with a three-point rise to 48 per cent of voters claiming to be in favour of withdrawal if it led to lower power prices. This pair of equal-sized binary asteroids orbits the Sun 5 times for every 2 Jupiter orbits (> 99.8% true). It also completes 4 orbits per Metonic cycle (> 99.7% true). An asteroid discovered orbiting the Sun in December last year has revealed a fun surprise: it’s not one asteroid, but two, locked in their own binary orbit around a mutual centre of gravity. The two asteroids perform one full orbit of each other every 20 to 24 hours or so. Wikipedia: 2017 YE5 was discovered with observations provided by Cadi Ayyad University’s Morocco Oukaimeden Sky Survey Telescope. It is a near earth (Apollo) asteroid that passed within 16 lunar distances on 21 June 2018. On 21 June by Goldstone and on 25 June by Arecibo Observatory and the Green Bank Observatory, it was observed to be a near-equal mass binary. 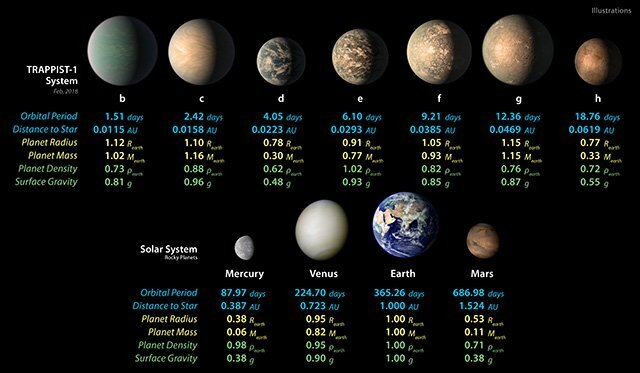 Each member of the binary is about 0.9 km in diameter; the orbital period is 4.74 yr (1730 days). The deal sends a blunt signal to Donald Trump as to the benefits of removing trade barriers, rather than declaring trade wars. At the moment, EU companies pay €1bn (£890m) of duty on products they export to Japan. Almost all of these tariffs will now be removed and 95% of tariffs the other way will also be wiped out. These companies – including UK firms until Brexit – export nearly €60bn (£53bn) of goods and €28bn (£25m) of services to Japan. From oldbrew’s link: “Archaeologists and astronomers solve the mystery of Chile’s Stonehenge”. The picture in the link says a lot more. What is the meaning of the child in the ceremony? And the flint knives? When ignorance replaces science the end result is spilt blood. The stone pile marker was known by pre Inca as ‘the tethering post of the sun’. Was there a time when the sun was on the loose? And what would that result in to require drastic measures? Google is playing tricks. chsant above is oldmanK. We know where this ~208 year de Vries cycle period comes from, or at least partly comes from. In previous work** published in 2012, Rothman and his colleagues identified a surprisingly universal connection between groundwater and the way in which rivers split, or branch. The team formulated a mathematical model to discover that, in regions where erosion is caused mainly by the seepage of groundwater, rivers branch at a common angle of 72 degrees. In follow-up work, they found that this common branching angle held up in humid environments, but in dryer regions, rivers tended to split at narrower angles of around 45 degrees. 5 and 8 are a consecutive pair of Fibonacci numbers. ** Researchers find a common angle and tipping point of branching valley networks. observed in cloud and lightning activities over the globe. 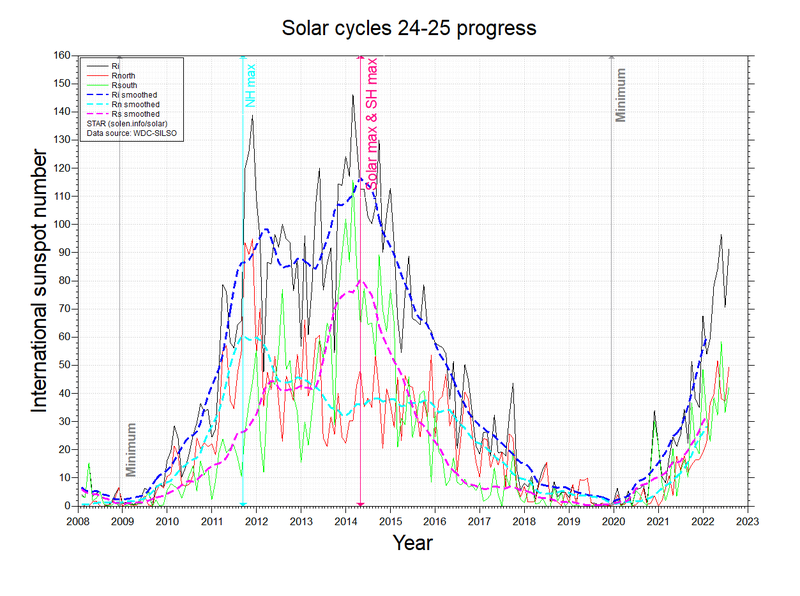 more prominent around the maxima of solar decadal cycles. A collaborative research team in Japan has taken the first steps to understanding how the sun’s rotational cycle influences lightning activity. They found answers in an unusual source–diaries dating back to the 1700s. They found peaks of lightning and thunder activity every 24 to 31 days, the same time window it takes the sunspots to rotate completely. 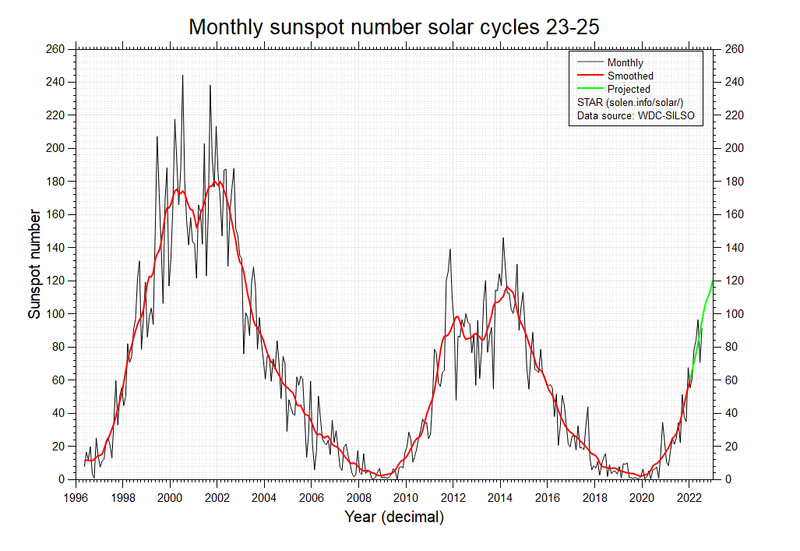 It’s a strong signal, especially when the yearly-average number of sunspots is high. The henge in the video is interesting in that the number of posts that appear is different than at Stonehenge. No indication of orientation?? 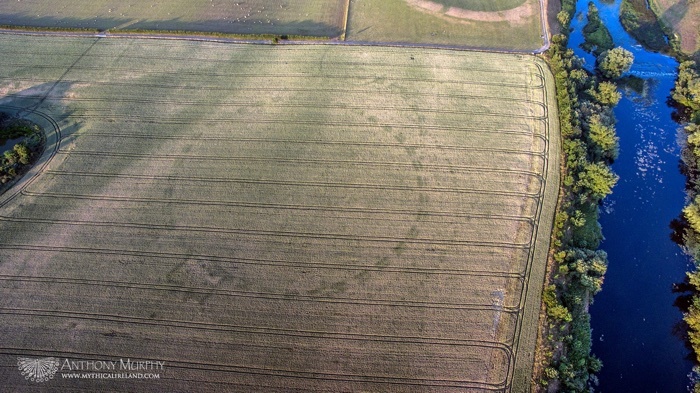 Murphy – who runs the website Mythical Ireland – decided to fly his drone southwards of the prehistoric monument Newgrange, never actually dreaming he’d encounter an unknown site of the same ilk. Until he did. The Boyne river runs west-east for a short distance due south of the Newgrange site. The link shows this photo. Not sure what/where the feature on the far left is on Google maps – possibly the lake AM refers to? Elsevier last week stopped thousands of scientists in Germany from reading its recent journal articles, as a row escalates over the cost of a nationwide open-access agreement. The move comes just two weeks after researchers in Sweden lost access to the most recent Elsevier research papers, when negotiations on its contract broke down over the same issue. And al the others who fear mongered. “Waves and Tides” – Carbon Sense, July 2018. Produced with assistance from our editors, illustrator and web master. Please spread some Carbon Sense. As of July 2018 the strength of the polar fields hints at a cycle 25 with a magnitude slightly stronger than that of cycle 24. “What the f*** is the Meghalayan?” asked Ben van der Pluijm, a geologist. Whatever the Meghalayan is, we live in it now. Warmists getting their noses put out of joint again. German energy policy isn’t working. It seems scrapping nuclear and coal doesn’t fit too well with being a major industrial economy. Who knew? Study conducted in Southern Hemisphere’s subtropical zone detects correlation between drop in temperature and rise in deaths from stroke, especially among women and older people. Solar input affecting wave energy? 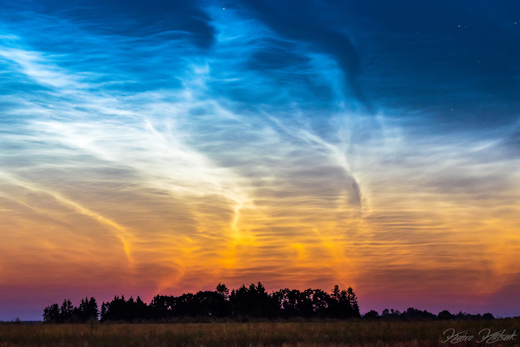 Say, there were no GHGs in the Earth’s atmosphere. Clouds shall be neglected as well, to make things easier. The planet gains energy over the tropics (positive budget) and loses this extra energy over the poles (negative budget). The energy transport in between is carried out by the atmosphere. The ocean, of course, also contributes to this meridional transport of energy, but this is not of importance here. The energy gained over the tropics, which is then transported to the poles, must enter the ground in the polar regions before it can be emitted to space. This is because no GHGs and no clouds, also no aerosol, shall be contained in this hypothetical atmosphere. The atmosphere cannot emit energy directly to space, as it lacks longwave emitters. Consequently, any “imported” energy that shall leave the Earthatmosphere system in the polar regions, must be transported via sensible heat flux into the ground. From there it can then be emitted to space. Now, GHGs shall be introduced. Sure, they have a “shielding” effect over the tropics by causing long-wave downwelling radiation to heat the surface. The same happens, to some smaller extent though, in the polar regions. In addition to that, GHGs give the atmosphere the ability to emit energy directly into space, without the need to transport it through the surface first. This increases the ability of the planet to get rid of energy at the poles, which has been collected over the tropics. In essence, this helps the atmosphere to perform its “task” of meridional energy transport; GHGs help to balance the radiative imbalance between the tropics and the poles. The conditions in central Antarctica, being a high-altitude plateau and having a continental climate, are such, that the “shielding” effect of GHGs is excelled by the “helping in losing energy” effect. This, one can name negative greenhouse effect. Back to today and many parts of the country will see another fine day with plenty of strong July sunshine on offer for much of the day. The sunshine will help temperatures soar, especially across the south-eastern quarter of the country where maximums in the region of 32°C to 35°C are expected and with light winds it will feel very hot indeed. All the solar system planets are on the same side of the Sun at the moment, hence why it is nowhere near the solar system barycentre (red crosshairs). A significant Earth-Mars conjunction is imminent. The new Volvo VNL 300 daycab is now available with the latest version of the Cummins ISX12N “Near Zero” natural gas engine (earlier post), providing an alternative fuel solution for pick-up and delivery and regional-haul operations. With available engine ratings of 350 horsepower with 1,450 lb-ft (1,966 N·m) torque up to 400 horsepower with 1,450 lb-ft torque, the ISX12N natural gas-powered engine is approved for gross combination weights of up to 80,000 lbs, making it well suited for heavy-duty regional-haul truck and tractor applications, port drayage, vocational, refuse and conventional straight truck applications. The natural gas power plant can be operated on compressed natural gas, liquefied natural gas, or renewable natural gas. The ISX12N engine is OBD (On-Board Diagnostic) compliant and US EPA and CARB certified. …despite the rotation, the spiral arms do not unwind, but have maintained their shape for billions of years. Customers have been left stressed and in debt after signing up to an energy-saving deal they believed would save them money, but instead have found their electricity bills have gone up. More than twenty households on Glenfruin Road in Blantyre, near Glasgow, were persuaded to have solar panels fitted on their roof by a company called HELMS, as part of a government scheme called the Green Deal. The costs would be partially covered by a loan from a government-sponsored body called the Green Deal Finance Company and from money they’d get from generating their own electricity. What they didn’t realise was that they’d signed over the rights to that money and would not receive a penny. Tony Bonsignore investigates. 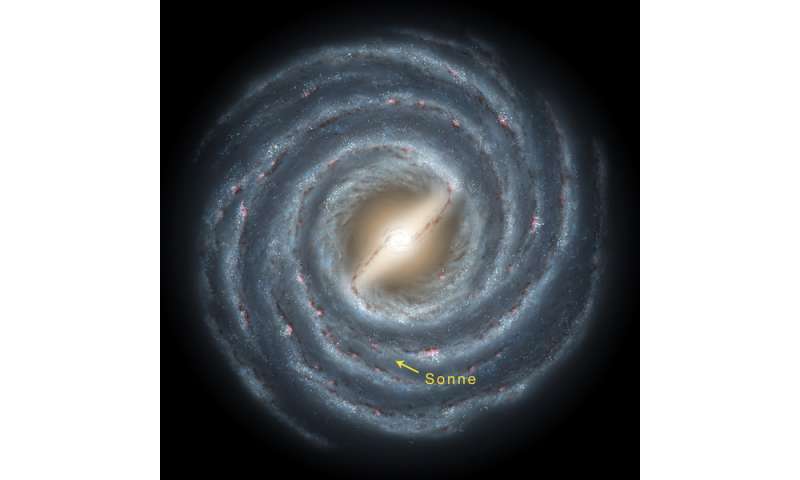 Quote “…despite the rotation, the spiral arms do not unwind, but have maintained their shape for billions of years. “. It is more like paths accelerating towards the centre. In fact some paths merge into one. Like a vortex separator. The Fukishima nuclear meltdown has left traces of radioactive material in California’s wines. That’s according to new research from the University of Bordeaux in France, which studied the levels of the highly soluble isotope cesium-137 present in the atmosphere at various points in time by measuring its concentration in wines of different vintages. Bottles of red wine showed higher concentrations than those of lighter varieties such as rose. But don’t go rushing back to the supermarket just yet – although the cesium-137 activity in a typical bottle of Cabernet Sauvignon was seen to double, the scientists behind the study said it would cause no harm to health and said nuclear weapons testing means low levels of cesium-137 have been found in all wines made since 1952. The next steps are to search for any marine microorganisms that might be lurking in the burials, suggesting the people died from drowning. probably more than 10 m.
oldbrew; tks; two interesting papers. No surprise the dates. No local tsunami either, but global. Ring of brodgar similar; overwhelmed by waves and buried. Other places too – same dates. Question: why is the Eddy cycle so ‘corresponding’ ? What is its source? The rocky planets line up quite well with Earth at 980 years. 4069 Mercury = 979.985 s.y. 521 Mars = 979.905 s.y. It appears they would also align with Neptune around 980 years but there’s no clear theory. 2476 Venus-Mercury (4069 – 1593) = 980.0008 years. The 1845 Franklin expedition through the Northwest Passage ended with everybody dead, after getting trapped by ice at several locations. But most of today’s media are sure there’s ‘rapidly melting’ Arctic sea ice. It’s been so rapid for so long that things are the same as 170+ years ago? Somebody’s got to be joking. Zemission has developed a zero-emission catalytic burner for heating in electric and hybrid vehicles. The device will promote the uptake of plug-in electric vehicles (EVs) by increasing their driving range. The increasing popularity of EVs and plug-in hybrid EVs (PHEVs) is creating a growing need for auxiliary cabin heaters as the waste heat from internal combustion engines normally used to warm passengers is either not available or insufficient. This need is particularly acute in cold climates as studies show that the battery of EVs in normal cold climate temperatures of -7° C suffer a decrease in range of up to 60 percent. But ‘more than 40 years of carbon dioxide surface measurements’ isn’t long enough to cover the underlying oceanic/climate cycles. If it was much more than 40y they would have said 50, or 60 etc. The findings support the millisecond pulsar interpretation of the excess emission, since neither a dark matter signal nor other astrophysical interpretations are expected to show such a correlation. The Andromeda Galaxy is approaching the Milky Way at about 110 kilometres per second (68 mi/s) as indicated by blueshift. Such collisions are relatively common, considering galaxies’ long lifespans. Andromeda, for example, is believed to have collided with at least one other galaxy in the past, and several dwarf galaxies such as Sgr dSph are currently colliding with the Milky Way and being merged into it. The studies also suggest that M33, the Triangulum Galaxy—the third-largest and third-brightest galaxy of the Local Group—will participate in the collision event too. 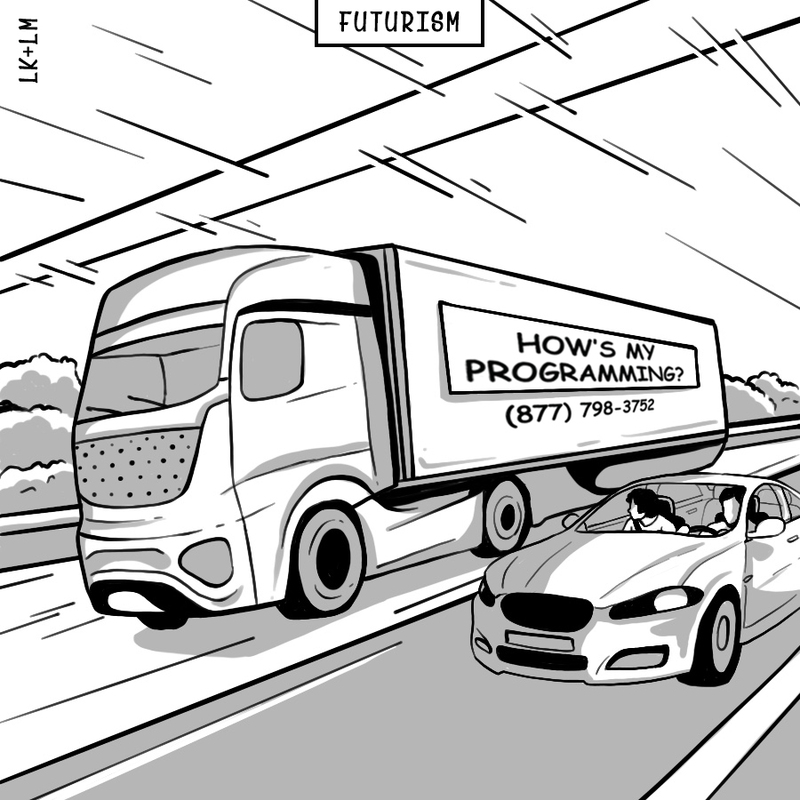 The article is mainly about things that could happen centuries to thousands of years into the future. It doesn’t really conflict with the IPCC who have already concluded that these tipping points may have significant but probably minor effects before 2100 – because it is a meta study and it is just looking at ideas for future research. There are no dates in it, and there is no new fundamental research. YouTube (= Google) posing as the Ministry of Truth? YouTube is now trying to combat scientific misinformation on its platform. Wikipedia has been helping it describe topics including global warming, the MMR vaccine, and UFOs. Obviously ‘universes’ is a theoretical term as we’ve only observed our own, as far as we know. Difference in measured half-life of neutrons probably not due to dark matter. Do you think! String Theory is a mathematical construct. GOD is not a mathematician! First thing these people need to do is study Proton, Hydrogen, Neutron until they really understand them. GOD works in applied science. K.I.S.S. Mater/Energy density. Much of the Standard Model complexity is due to improper logic derived from poorly designed experiments and the detectors used. Published 2018 May 17 • © 2018. The American Astronomical Society. Mars and Earth interact strongly with each other, as well as with Mercury and Venus. As a result, by themselves, their spin axes would precess with the same rate as the orbital oscillation, which may cause large variations in their axial tilt. Fortunately, the moon keeps Earth’s variations in check. The moon increases our planet’s spin axis precession rate and makes it differ from the orbital oscillation rate. Mars, on the other hand, doesn’t have a large enough satellite to stabilize its axial tilt. Booker: Why do distorted views on global warming and the Middle East go unchallenged by the BBC? But even the main claims of papers with thousands of citations ultimately may be wrong, of course. Sadly, I must say that some of this Stanford environment likes to use group think – and arguments about authorities and number of papers – that resembles the “consensus science” about the global warming. Sorry, ladies and gentlemen, but that’s not how science works. Comet Swift–Tuttle (formally designated 109P/Swift–Tuttle) is a periodic comet with a current (osculating) orbital period of 133 years. It fits the classical definition of a Halley-type comet with a period between 20 and 200 years. It is the parent body of the Perseid meteor shower, perhaps the best known shower and among the most reliable in performance. According to its actual orbit period on Wikipedia it would complete 17 orbits for every 191 by Jupiter, but 1:11 = 17:187. Also: 11 * 19 Jupiter = 10 Pluto orbits (= 19 CST based on 130.48 years per orbit). The Perseids are prolific meteor showers associated with the comet Swift–Tuttle. The shower is visible from mid-July each year, with the peak in activity between 9 and 14 August, depending on the particular location of the stream. During the peak, the rate of meteors reaches 60 or more per hour. They can be seen all across the sky; however, because of the shower’s radiant in the constellation of Perseus, the Perseids are primarily visible in the Northern Hemisphere. fact that the net mass transported by a sound wave vanishes. Here, we want to question this “fact”. Extra voltage lets engineers design cars in novel ways that boost engine output and efficiency. This can be used to make hybrids on the cheap (some people call them “mild hybrids”). These employ a combination of electric motors and combustion engines to cut both fuel consumption and polluting emissions. Most carmakers and their suppliers are now working on 48-volt systems. Delphi, a Michigan-based group that is one of the world’s largest suppliers of automotive parts, thinks mild hybrids could cut CO2 emissions by 15-20%. Delphi expects that, by 2025, one in every ten cars sold around the world will be a 48-volt mild hybrid. Upping the volts, then, will make motoring much greener. Should also reduce NoX emissions – that’s the ‘polluting’ reference. Below: b,c,d sizes are a good match to f,g,h with e (the middle planet) in between the two groups. Please note: we’ve moved to Suggestions 35 now. No more comments here. Thanks.